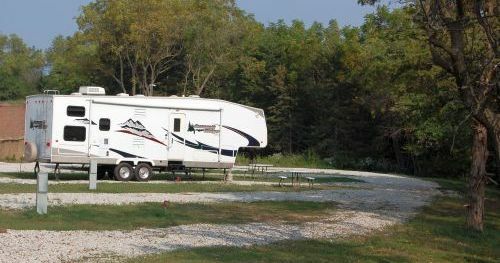 We provide 50 amp RV Spots: 6 Full Hook-Up (Sewer, Water, and Electric), 1 Electric Hook-Up Only and 1 RV Spot with No Hook-Up. 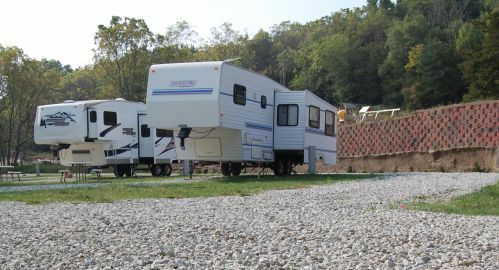 Each parking spot is 50 feet long (which is the combined length of camper and towing vehicle). 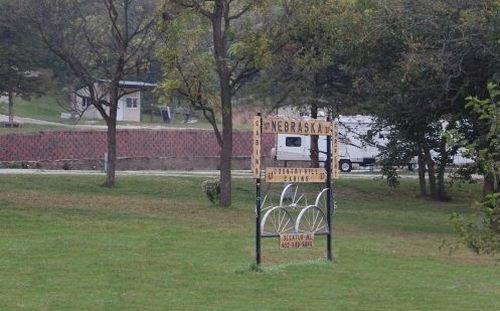 Each RV parking spot has a picnic table and a fire pit available for use. 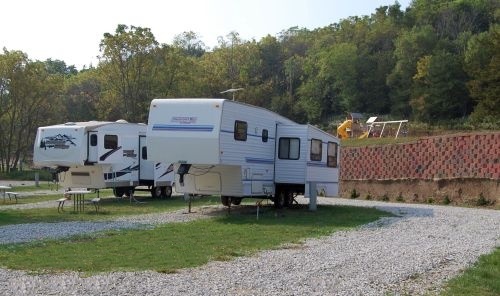 There are bathrooms and showers available for all RV campers located in the Bluff Haven shelter. In case of bad weather there is an emergency storm shelter available for the safety of our customers.